Few things are as simple or as important as getting your car’s oil changed. To get the most out of your oil change, take it to a team that knows the needs of your Buick or GMC vehicle inside and out. 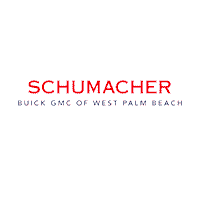 Visit the service team at Schumacher Buick GMC of West Palm Beach, Florida. Your motor oil lubricates all of the moving parts of your engine, keeping it from overheating. However, this same engine heat also causes oil to become less effective with time. So when should you have your old oil changed out? This number varies on your vehicle and how you drive it. However, to be safe, make sure to change your oil after 3,000 to 10,000 miles. Overdue for fresh oil? Browse our service coupons and schedule your next oil change online. You can also contact our service center.